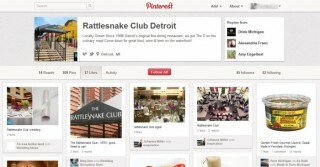 Home » Blog » Small Business » Should Your Business Use Pinterest? Pinterest is the hottest social networking site today which has gained more than 12 million active users in past 8 months of its origin. Page visits to Pinterest has increased by 4000% in the past 6 months. It has broken many of the past records set by prominent websites since the history of the internet. Now that it’s clear how huge the craze for Pinterest is, let’s delve deeper into the features of Pinterest. While believe that Pinterest is merely a visual site for posting pictures, online marketers and brands have cashed on to the mega appeal of Pinterest. What most people don’t know is that Pinterest is also a very convenient B2C site where a business owner can sell jewelry, clothes, art and other branded products online. For companies providing simple sales, Pinterest not only eliminates the need to create a separate e-commerce website, but also takes care of the marketing and customer engagement policies. Another advantage of Pinterest is that 80% of users on Pinterest are women. Statistics have proven that women tend to make most of the purchasing decisions of a home; hence most of the companies have started actively targeting their products specifically to their female customers. So here comes the big question – should you use Pinterest for your business? If your company likes to regularly share data with its customers using pictures, graphics or photographs, get started with Pinterest today! If your company doesn’t use pictures, graphics or photographs to interact with its online community, start doing so and join Pinterest today! Read below and find out why having a Pinterest profile for your online business is crucial for your online marketing strategy. Pinterest converts more visitors into customers than any other social media site. It has surpassed giants like Facebook and twitter in converting leads into sales in the year 2012. Since Pinterest is a visual site, customers take lesser time in reacting to call-to-actions. Furthermore, the option of buying a product is only 2 clicks away from the Pinterest page. Pinterest is an amazing tool for increasing traffic back to your website. Unlike Facebook and twitter, links from Pinterest are do-follow links. This is great news for affiliate and social sharers. Every share on Pinterest equals to a link back to your website. And backlink profile with a site having 12+ million users linking back to you is good news in every way! Pinterest can be integrated with your Facebook page, twitter profile and your website. Furthermore, it has also released a ‘Pin-it’ button using which a visitor can directly share parts of your website on their Pinterest page. This means that your Pinterest page is never far from a potential customer, no matter which platform he/she uses! How Should I Use Pinterest? Take Photographs! And the best part is that there are no rules! They can be photos of your products, your office, your employees etc. Anything that can increase the customer bond with your company should be pinned on the profile page. The pictures pinned may also include graphs and charts on the business/market or consumer behavior. Studies have shown that customers trust companies which are transparent in sharing their internal working processes. While this may not be a great incentive for large companies, but small and medium enterprises (SME) can leverage on this aspect to grow their customer base. Pinterest is still growing like wildfire on the internet. Since it is still in its nascent stages, there are no rules carved on stone on how a company must use Pinterest. But like any in every social media campaign, remember to be expressive, communicative and fun! All the best for your company’s Pinterest page! We would love to hear your Pinterest story in the comments section below! Sue Barrett, Home Business Center, Inc.
We started using Pinterest for our company. We are in the B2B market, and didn’t think using our graphics would interest Pinterest users, so we started creating funny memes. We’ve surprisingly received a lot of interest in our memes – which of course brings people to our website. I’d suggest a creative approach like this for B2B companies, since it worked for us. Instead of focusing on images of your products or services – show off your company’s personality, create a “behind the scenes” board or pin things that relate to benefits you offer. Food for thought. I agree Sue. Funny memes and infographics that share information in an interesting way are great ways to get people interested. Some product pictures are good, if they’re relevant to other people, but it shouldn’t just be a product page. 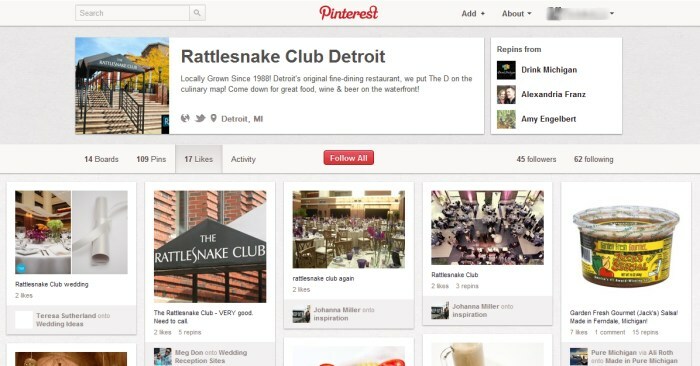 Showing off your company’s personality on Pinterest is a great idea!